Cameos in Nintendo games aren&apos;t exactly unheard of, but there haven&apos;t been any in a core Mario game in some time. 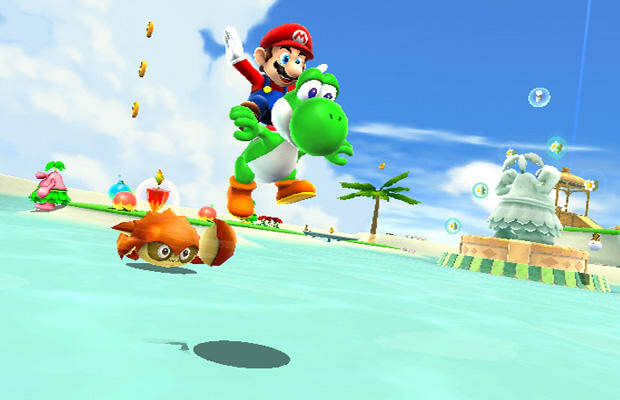 That almost changed with Mario Galaxy 2, game Director Koichi Hayashida told Gametrailers, but Mario creator Shigeru Miyamoto put a stop to the idea early on. Hayashida&apos;s team wanted characters like Donkey Kong and Pikmin to make appearances, but Miyamoto had good explanations as to why that was ultimately not a great idea. "We presented this to Mr. Miyamoto, but he came down pretty hard, saying that there has to be a functional reason to include characters of a certain type in a game," Hayashida said. "In the Pikmin games, you&apos;ll notice that all the Pikmin are very thin — tall and narrow for their frame," he continued. "Mario enemies tend to be on the short and squat side and there&apos;s a functional reason for that. They&apos;re easier to stomp on. They&apos;re lower so you can get above them and broader so you can land on them. In that sense, Pikmin are just not well suited for the Mario universe." The team was told to focus on making the game functional rather than adding neat but ultimately, in our opinion, pointless cameos. Hayashida said they might consider such cameos in the future, if it made sense functionally, but that it was doubtful that would occur. Would you like to see some Pikmin, Donkey Kong or other Nintendo characters in a core Mario game, even if it&apos;s just for fun? Let us know in the comments or on Twitter.